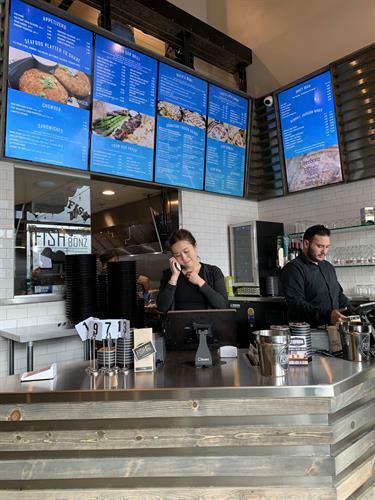 Welcome to Fish Bonz Seafood Grill Costa Mesa! 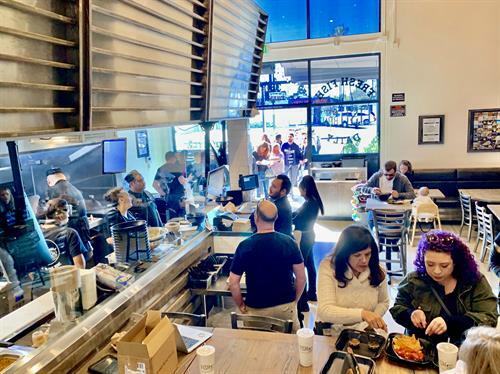 Derek Taguchi is proud to introduce Costa Mesa and the surrounding communities to his newest seafood restaurant in the heart of all the action on 17th Street! This restaurant was designed with two floors for you to enjoy a unique dining experience in a relaxed and contemporary setting. 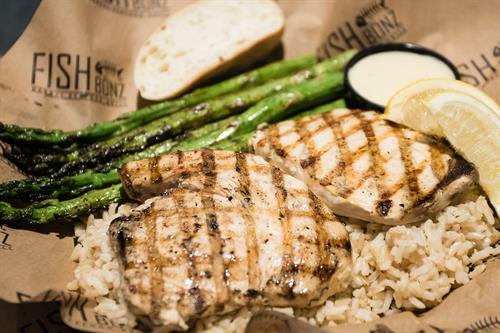 We here at Fish Bonz Seafood Grill are passionate about food. We love what we do and we want to serve you a great meal soon! 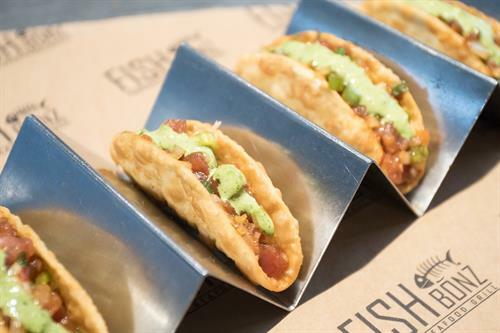 Whether it’s before or after a movie, on your daily lunch break from work or shopping, or to celebrate a special event. 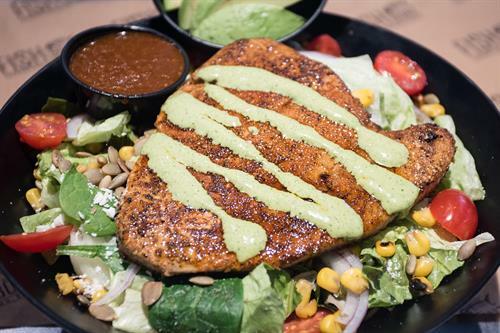 If you just don’t feel like cooking, or maybe you’re just craving a healthy delicious meal, come on by so we can make it fresh for you just the way you like it. 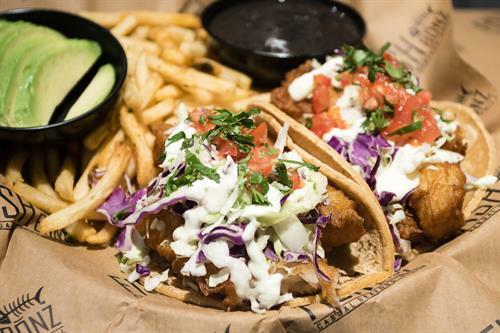 Dinner or lunch we got you covered! 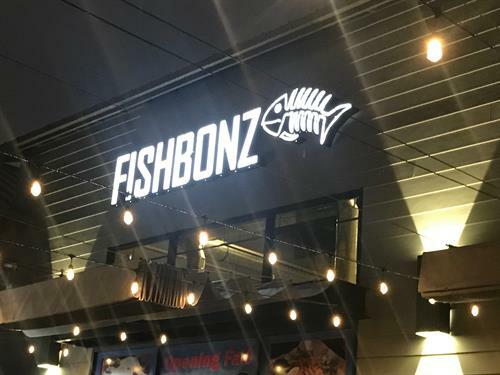 You can even order online at fishbonzgrill.com for quick pickup (parking is behind our restaurant)! 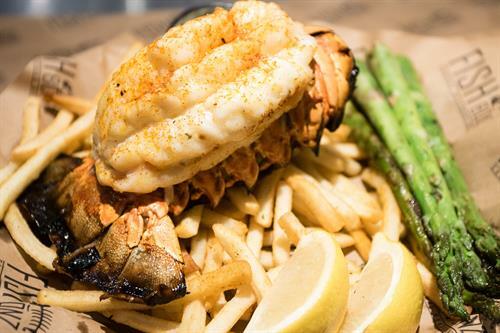 Fish Bonz offers a range of creative, fresh dishes with many varieties of grilled fish, seafood and lobster. 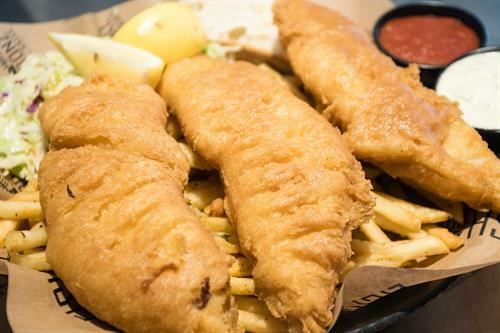 We offer chowders, all the traditional fried seafoods such as: fish & chips, scallops, calamari, catfish and shrimp. 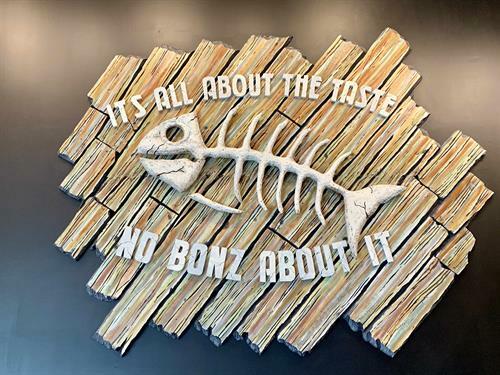 Fish Bonz combines its design elements to create a very hip and industrial vibe. We use rustic wood trim with brushed stainless steel set on a black and white palette. Spacious patios to enjoy our beautiful California weather. Simple and sleek, we want our place to give you an experience that’s California casual, comfortable and relaxing so you’ll want to keep coming back for more!